In Bed With Boys & Bunting: Episode 3 + GIVEAWAY! We do hope you are all having a splendid week? After a slightly longer break than anticipated we're back and ready to jump into bed with you with our 3rd instalment of "In Bed With Boys & Bunting!!" We were very proud at the end of last week to receive a copy of "Homespun Magazine", which we were lucky enough to have our work featured in. 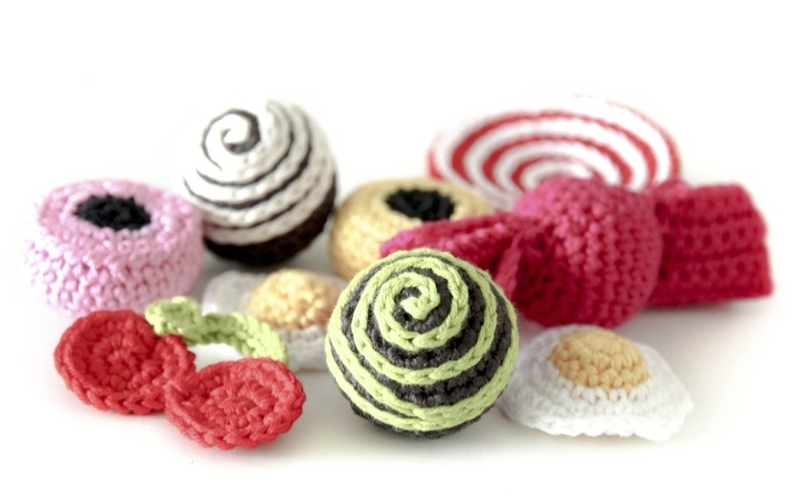 The magazine from September of last year features all sorts of food inspired crafty projects. The magazine really is a feast for the eyes and our crocheted candy clock fits in nicely with all of the other wonderful creations. All of the candy from our featured "Candy Clock" can be found here on our pattern page, so you can also try giving your own candy clock a whirl! When It comes to buying yarn we love to know exactly what we are getting. Purchasing online is convenient, but means that you can't always guarantee that the colours and texture are going to be what you had expected. On my trip back to London, I definitely went a little wild spending my paycheck. I don't feel too guilty though, as I could be wasting my money on a lot worse than books. I loved spending my time browsing through all of the books in the gigantic Waterstones store, just off of Picadilly Circus. Such a treat! 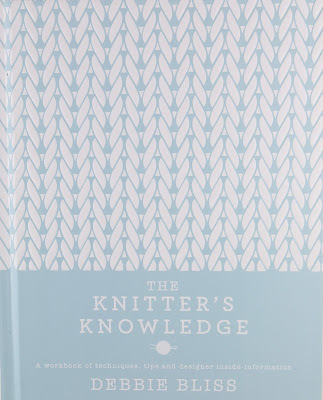 I also Picked up "Knitters Knowledge" by Debbie Bliss. 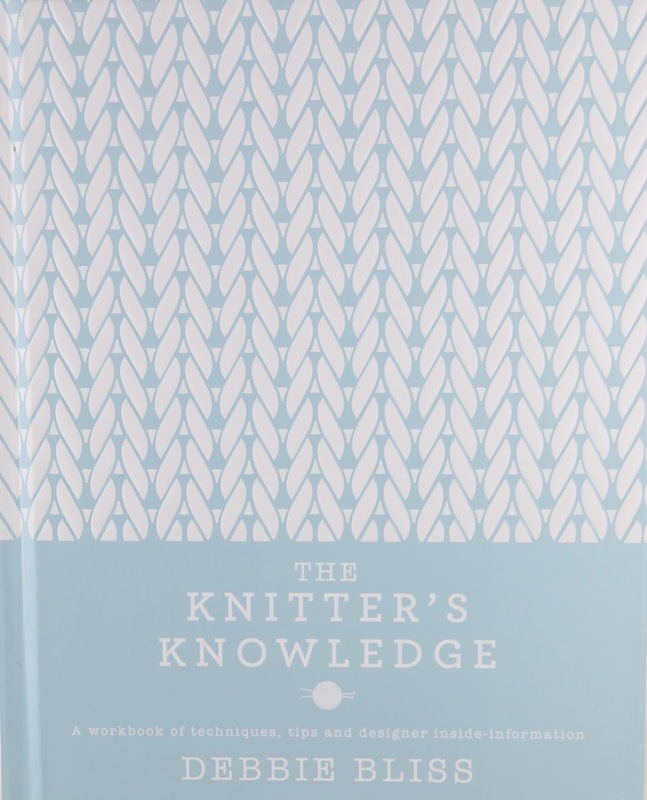 A gorgeous encyclopedia of everything a knitter could need. 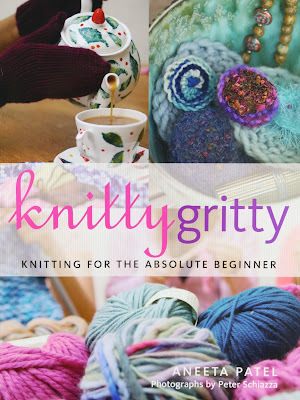 Knitters knowledge along with the very user friendly "Knitty Gritty" are our recommendations for harmonious knit learning. These two books will give you everything you need to know, to get started with your knitting. 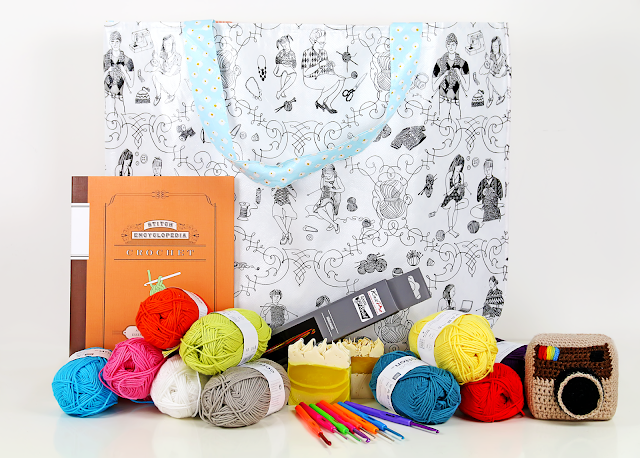 We are giving one of our lucky readers the chance of receiving this rather magnificent Boys & Bunting goody bag! Inside the bag you'll find everything to keep those of you, "hooky at heart", perfectly content! A fabulous set of crochet hooks, the most comfortable we've used in a while! 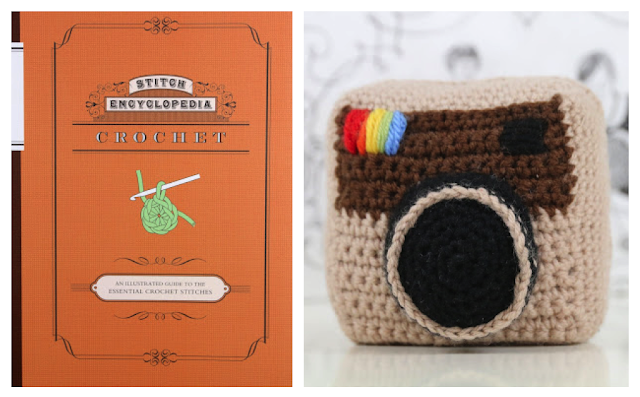 All of the above in a handy (and pretty cool) project/stash bag, what more could you want?!! How to win all of this awesome stuff? We will be pulling the name of one lucky winner out of the hat on Sunday 17th April!! Anyone in any country can participate, as we'll ship the project anywhere! We can't wait to see who wins!! Hi, my name is Sonia and I come from Spain. I was subscriber to according yo Matt, and now I follow boys and bunting. I love your blog and your gorgeous creations. Thank you for this marvelous giveaway!! What I fun giveaway! You blog is alway sso cheerful and so much fun to read! First things first: I'm Ferran, from Barcelona. And now, to the third episode! Enjoy watching the podcast. So glad to put faces to the names in the blog. Hi I'm Katalin L from the Budapest, Hungary. I follow you on Facebook and your blog. Great giveaway! That's awesome that your work is featured in the magazine! Congrats!! Thank you for a wonderful giveaway :) I am Rachel from Tennessee, USA! Hi guys! Love the new blog. I followed the old one for years on Bloglovin and now this one. I'm Heidi, I live in Ireland now, but am originally from Holland! Groetjes! This is a fantastic giveaway! I am so glad I follow your blog! You are very generous with your giveaway. Hello, I am Sandra from West Jordan, Utah, USA. I found your blog following another site just before you began Boys & Bunting. Love the new blog. I'm really stoked about your update of the old blog. Awesome! Hi I'm Audrey from Glasgow (Scotland) & I follow your blog. I love that you & Dennis are now designing/working together. My partner Sarah laughs as I oooh & aahh over the items & posts in the blog hehehe. oooooh thank you Matt & Dennis ! ! ! your giveaway is amazing ! ! !I wish I could be lucky^^...I can dream!!!! many thanks to you, everything is so cute! I am fond of crochet♥♥♥ ! ! ! also the soap!!! it's so beautiful♥♥♥ ! ! ! thank you and bisous from France ! ! ! Ooooopsy, subscribed with my other email address... but how many subscribers with this flowery name will there be (not much, I hope - sorry for the inconvenience). I'm Elaine, another one from the Isle of Wight. Amazing giveaway chaps. I have just enjoyed watching episode 3 of the vlog. Well done and nice to meet your Mum and Nanna Matt! I already follow you on Instagram and here and love your bright and cheery work! 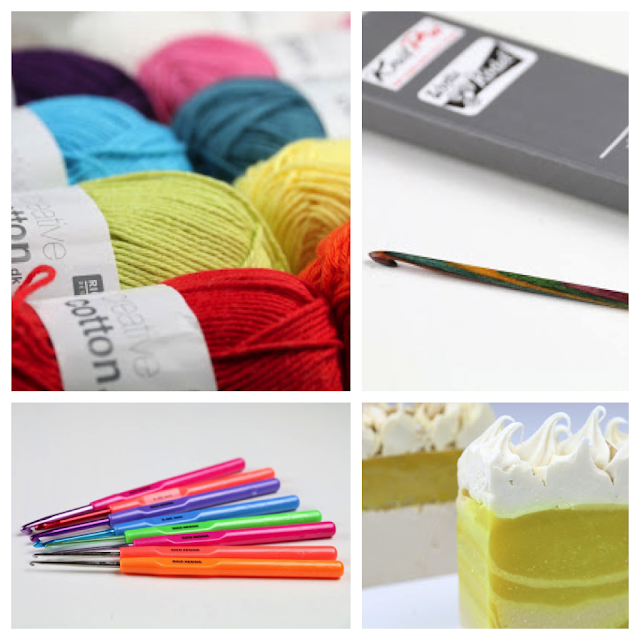 Your blog and projects are always so cheery, colorful, and fun! Please post more pictures of Poppy. I have been following your blog since the beginning of According to Matt. You are both so inspiring! I would LOVE to win your giveaway. I am Linda from Arkansas, USA. I like your blog and your creativity. Hi Matt and Dennis, I've had you bookmarked since "According to Matt" and I keep popping back for a look. Love the new site and I've just started following your blog. Hi Guys, I just have to enter for a chance to get my hands on your gorgeous homemade soap! Gemma from Chelmsford, Essex. Thank you, Boys! I follow the blog for some time and the Facebook page as well! Just LOVE the last vlog! And of course I wanna win this GORGEOUS bag!!! I live in Brazil, in São Paulo City. Hello from North Carolina, USA!!!! Love your blog & vlog! The giveaway looks amazing!!!! Hi - I am Annabelle from London - getting a dose of my favourite blog-hopping. Constantly gob-smacked by all the weird and wonderful creations that I find. Please keep surprising me! I'm Carmen from Potsdam in Germany. I really admire your creativity - keep it up! Hi there! I'm new to your site/facebook/blog, but I'm LOVING what I'm seeing! :) My name is Sarah and I'm from Waxahachie, Texas in the USA! G'day. This is Lesley from Port Campbell in Australia. That is a fantastic prize! Hope I win. THe work you do is totally inpirational and oh so clever. I do hope you keep blogging for a long time. Hi! I love your blog and follow it through email. Great giveaway, would love to win! Greetings from The Hague, Netherlands. Hi there - I am Erin from Las Vegas and I am just in love with your page! Hello Matt and Dennis! I've been following you since your first episode. Matt, I love seeing your posts in crochcet addicts with you working on projects during breaks (still in costume)...you rock!! Tammi Baker from Vidor, Texas USA. Hi, love your vlogs, so fun and full of gorgeous makes! Great giveaway, thank you for the chance :) I'm Renata living in lovely Somerset. Kristina from Maryland, USA here to say I love your blog and videos!! Hi! Stephanie from Southern California here! (specifically Calexico, which is practically in Mexico hence the Mexican sounding city name lol). Thanks for hosting this giveaway, I love your videos/posts. I had no idea that companies made those color cards, THANKS SO MUCH for that tip! I am Dani and I am from Gera in the east of Germany. 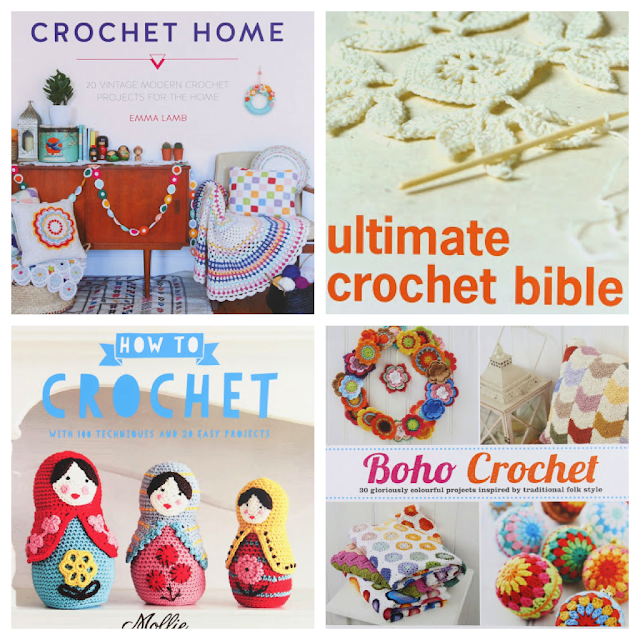 I like to start crocheting...so I think it would be a good set for a start, wouldn't it? Nora from Colorado. I've been following you on Facebook. I'm Terry from Kinnelon, NJ, USA. I was already signed up to follow you everywhere. I love your work! Thank you for blessing me with abundant inspiration and joy.